Arrive Dublin and recover from the journey with two nights in the Westbury. 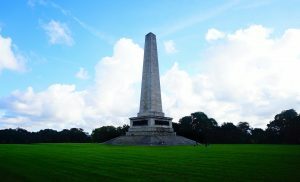 Enjoy exploring Dublin and a long walk around the fantastic Phoenix Park. Meet your driver/guide and visit Glendalough for a hike around the Glacial Valley and 6th Century monastery. Stay for two nights at the Powerscourt Hotel. Choose from a number of hiking routes ranging from 2Km – 11km , and of course visit the world famous gardens. Travel down to the beautiful village of Kenmare for two nights at Sheen Falls Lodge. Visit the Rock of Cashel on the way. 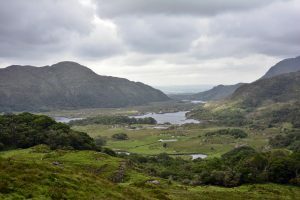 Enjoy a hike in Gleninchaquin Park (a real hidden gem and privately owned by a local farmer) and also visit Killarney National Park. Visit the Cliffs of Moher for a hike around the edges before arriving at Ballynahinch Castle for two nights. Visit Kylemore Abbey and walk around the extensive grounds visiting the lake , the walled garden , the church , and much more. Transfer to the Grand Hotel in Malahide for one night. Enjoy a walk around the castle or hike along the beautiful coastal path.